Welcome to Author Thursday hosted by the Never Too Old for YA & NA Books group from Gooreads. Today we welcome author Katy Evans! Now let's welcome Katy and see what she has to say! When I became hooked on Sweet Valley High and, later, all the romance novels that followed. 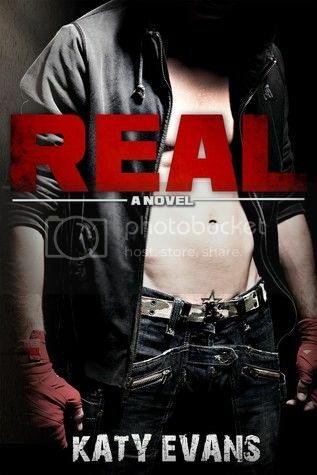 Real took me in a fever and it was an extremely fast story to write, so it only took me about a month. But sometimes I can't eat, breathe, sleep, and drink the story (because normal life gets in the way) and it might take me several months. I wake up, answer emails, get a big fruit smoothie, and get to work. Then I take a walking break, feed my family, and get back to it in the afternoon until late in the evening. I usually start with the hero and heroine, find out who they are, and what they want. Based on their story, I do research on their occupations, etc. and start writing their story to find out even more about them. I am always surprised by my books! With Real, Remington and Brooke kept surprising me, showing little tidbits of themselves I hadn't discovered before, etc. I love being surprised while I write! It's what keeps me glued to the chair . . . I have had practice writing before, entering contests and writing workshops under other names, but I always seemed to strive to get into a "line" or fit a certain mold the publishers were looking for. Self publishing freed me and allowed me to write the book of my heart, which is Real, and it is definitely my favorite. I have a study with big, beautiful windows and I love writing there. Well it's known to be very hard! But with self publishing now it's so wonderful to be able to write what you want and be able to share it as you imagined with the world. Not all of them are readers, but they are just happy that I am happy, doing what I love. I love walking, baking, reading, spending time with my family. I'm a very intense and passionate person so any moment I give myself to relax is treasured! Don't quit. Believe in yourself. Write what you love and what interests you. Chances are, your love will shine through and readers will respond to it. Find a great support group to help you through the hard times and cheer you through the great ones, and vice versa. There are so many things you can learn from your friends successes too. First a teacher, then a veterinarian, then a secretary, then a zoo owner, and lastly a writer. I admire all writers, truly! It is a very beautiful and difficult craft. But of course I have very warm spots in my heart for the first romance writers I read and authors like Linda Howard, Sandra Brown, Lisa Kleypas. My hat off to these fine, amazing ladies! 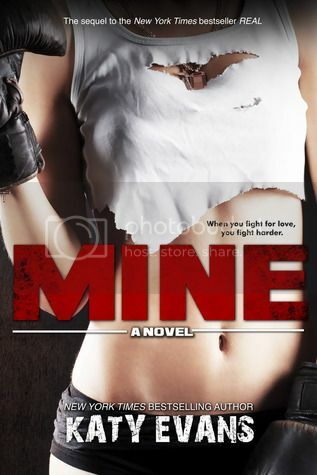 "Mine," the sequel to Real, and also "Remy," Remington's POV story. I can't wait to share them all! Thanks so much for stopping by today, Katy! It was so great having you here!